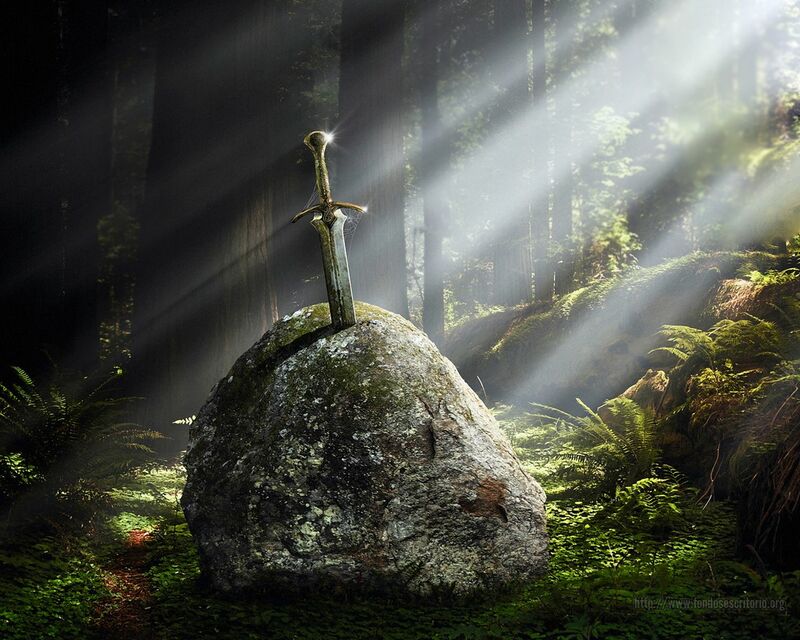 Excalibur is the legendary sword of King Arthur, sometimes attributed with magical powers or associated with the rightful sovereignty of Great Britain. Sometimes Excalibur and the Sword in the Stone (the proof of Arthur's lineage) are said to be the same weapon, but in most versions they are considered separate. The sword was associated with the Arthurian legend very early. In Welsh, the sword is called Caledfwlch; in Cornish, the sword is called Calesvol.